One of the most buzzworthy talents in the local rock scene, who broke out in a big way with his 2017 LP (and No Country album of the year) HEAVY META, and managed to follow it up with an equally impressive new effort, Stardust Birthday Party, last month, showcasing a tweaked sound and new outlook on life, Nashville transplant Ron Gallo is an artist you should be keeping a close eye on. After the past year of touring, festival appearances, and positive press, Ron returns home to celebrate his latest record with a Nov. 17 headliner at The Basement East, along with psych rocker Ian Ferguson and garage pop outfit TWEN, two additional long-running site favorites. Tickets to this stacked local outing are still available here, and we strongly urge you not to miss it! But, if you’d rather leave things to chance, we’re also giving away a pair of tickets to one lucky fan! Read on for more about the show, and enter for a chance to win below. Though he cut his teeth a decade ago with eclectic, Philadelphia based group Toy Soldiers, local rocker Ron Gallo has been both cultivating an impressive solo career and cementing his place as a fixture in the Nashville scene since relocating to Music City a few years back. After an exploratory first record, RONNY, not long after his prior band’s demise, Gallo found what has become his defining style, voice, and attitude with 2017’s absolutely phenomenal, formal first LP, HEAVY META, an inspired, bold, and passionate fusion of garage punk, indie, and art rock, which we named the best local record of 2017. Attracting ubiquitous critical-acclaim, Gallo’s debut propelled him to swift, newfound, widespread attention, and his subsequent time on the road inspired this year’s followup EP, Really Nice Guys, which both satirizes the industry and pokes fun at Ron himself, while still managing to push his garage, punk, and psych rock tendencies with some solid, albeit more lighthearted and meta, new material, a staple of recent performances a summer full of festival dates. While the EP was fun, the rocker’s latest LP, Stardust Birthday Party, is the proper follow to HEAVY META were were anxiously awaiting, and serves as something of a counterpoint, or spiritual 180 from his debut. As Gallo explains, HEAVY META was largely written during a tumultuous time, during the fallout of a breakout with a partner struggling with mental health and addiction, and a time he felt angry, disillusioned, and disheartened by the state of the world. After time spent soul-searching, witnessing his former partner’s recovery, journeying to a silent retreat in California, and undergoing an existential change by learning to look within and affect the world by affecting his own self-perception and perspective, Ron emerged with a new outlook and a more loving and compassionate control of the person that he is. As a result, Stardust Birthday Party maintains Gallo’s thinking man’s punk attitude and poetic underpinning, but largely ditches the angst in favor of navigating the steps of self-analysis, self-acceptance, and adjusting one’s perspective, a new side of Gallo which, when viewed in tandem with his debut, gives a glimpse of an artist with so much dimension, finally learning to navigate his own sense of self like never before. Needless to say, if you haven’t seen Gallo in action in a few months, it’s time to check back in on his phenomenal live show! We’ve been following Ian Ferguson since before he even took off with his solo project. Ian began his musical career as part of the now-defunct and beloved local rock outfit The Kingston Springs, and took some of the experience he garnered with the Springs to create the unique sound of his latest efforts, which he showcased early on at our Acme Feed & Seed series. You’ll understand the raw, bluesy, rock vibe, but will really feel the unique garage-y, psych edge that he brings to the songs. We’re still waiting for a debut release from Ian, but in the meantime, we’re still digging the smattering of singles he has released, including “State Of Gold,” from last year’s American Diamonds compilation, where Ferguson plays every instrument. A buzzy local fave, TWEN’s psyched out, genre-bending, jangly, garage pop have made them a prolific fixture in the DIY scene, and one of our favorite rising acts to watch, despite only having a live EP to their name (expect a debut in the near future). The Boston transplants are a perfect addition to any punk-leaning show, whether it’s in a basement or a club like this one, and they’ll definitely set the tone for a great night- don’t be late! Winner will be announced Thursday, Nov. 15 at 5 p.m. CST, and will receive one pair of tickets. Good luck! 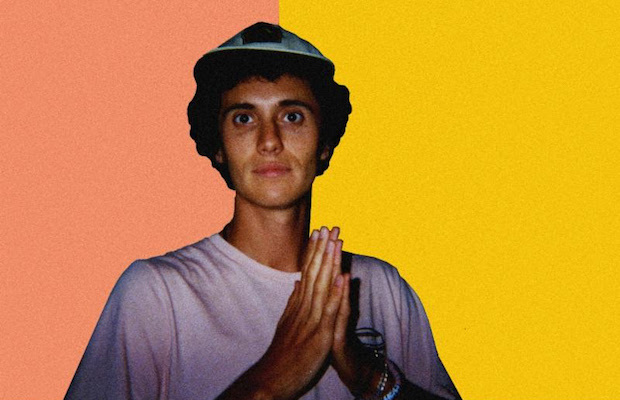 Win Tix to Ron Gallo at Basement East! Ron Gallo, Ian Ferguson, and TWEN will perform Saturday, Nov. 17 at The Basement East. The show is 18+, begins at 9 p.m. (doors at 8 p.m.), and tickets are available to purchase for $13-15.